Southern California offers a wonderful climate: dry but not too dry; warm but not too warm. It’s difficult to argue that San Diego offers the best of the best when it comes to outdoor environments. However, few homeowning San Diegans bother with creating usable outdoor areas to enjoy the natural majesty just beyond their walls. The temperate nature of San Diego’s climate expands landscaping opportunities, allowing homeowners to follow the latest and greatest exterior trends. 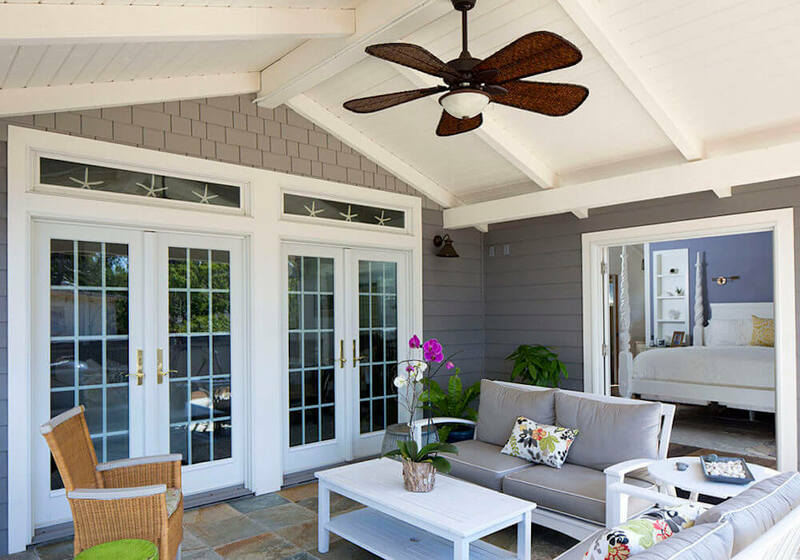 If you want to make the most of your outdoor living area in San Diego, here are a few of the hottest trends to keep your space cool. If you lead a busy life that keeps you out of the gym, you should consider transforming your yard into a personal fitness space. San Diego’s unparalleled climate, which remains outrageously gorgeous nearly year-round, makes outdoor exercise exhilarating and fun, and having a workout area so close to home will keep you and your family happy and healthy. Not many San Diego homes have enough space for regulation-size fields and courts, but there’s usually more than enough land for a green recreational space. If you plan to use your outdoor exercise space regularly, you should hire professionals to keep it free of pests, debris, and weeds with regular maintenance and pre-emergent herbicide treatments. Otherwise, your performance will be as affected as your yard’s appearance. If outdoor exercise isn’t your style, you should still maximize your enjoyment of San Diego’s weather with outdoor living and entertainment spaces. By installing a covered patio, you are essentially extending your home with another room - except this one allows you to breathe fresh air and enjoy the sights and sounds of the outdoors. Your porch can become any room, from an alfresco bedroom to a second kitchen to a simple and comfortable outside lounge. The most important design consideration for outdoor additions is that your furniture and appliances serve as suitable transitions between your landscaping atmosphere and your house’s interior theme. Seating should be comfortable and weatherproof, but you definitely can’t forget style. If you want to enjoy your outside spaces without the responsibility of exercising or entertaining, you can build a yard that enhances relaxation. Stress reduction is all the rage, and there are dozens of ways you can convert your yard into a rejuvenating retreat. First, you should start with the lighting, though you can’t control the daylight, you can add plenty of shady spots with leafy trees, umbrellas, and covered patio spaces. When the sun sets, any electric lighting you install should be soft and dimmable. Next, you must consider the sound of your outdoor space. If you are close to the sea - which many San Diegans are lucky enough to be - you can probably just enjoy the sound of waves. If you are inland and near a busy street, for example, you should try to cover up harsh noises with bubbling water features and soothing wind chimes. Finally, you should furnish and decorate your space. Everyone has different preferences for comfort: You might hang a hammock between two sturdy trees, or you can strategically place a chaise lounge in the coolest part of your yard. You can build on your cozy atmosphere with decorations like lawn ornaments or garden art - or you can keep it au natural. Lush, green lawns have long been an integral part of the American dream, but few San Diegans are attracted to the typical square of manicured grass. If you want some green but don’t want to bring out the lawnmower every weekend, you might be interested in some lawn-look-alikes. Instead of laying down grass varieties that require frequent maintenance, you can install grass mixes that don’t need as much attention, like prairie-type grasses and Habiturf, a Southwest-native blend. They look a bit wilder than the lawns usually depicted behind white picket fences, but surprisingly, the unkemptness only enhances the beauty.